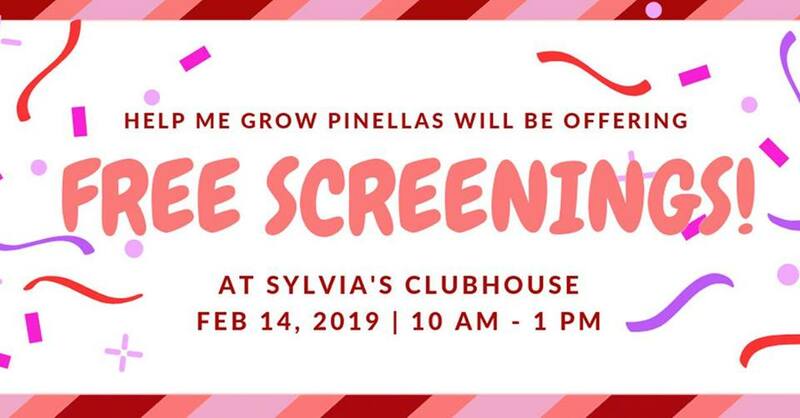 Join Help Me Grow Pinellas this Valentine's Day for a FREE screening for children 0-6 years old! Your child can play at Sylvia's Clubhouse LLC play center or make a Valentine while you complete a developmental screening. Every family who completes a screening will receive a swag bag. Admission into Sylvia’s Clubhouse is REQUIRED to attend this event, ($15 for the whole family). A Help Me Grow Care Coordinator will also be available to answer developmental questions. NOTE: You cannot leave your child unattended in the play area.